On July 21, Brazilian authorities arrested 10 Brazilian ISIS-supporting suspects for plotting a terror attack at next month’s Rio de Janeiro Olympics. 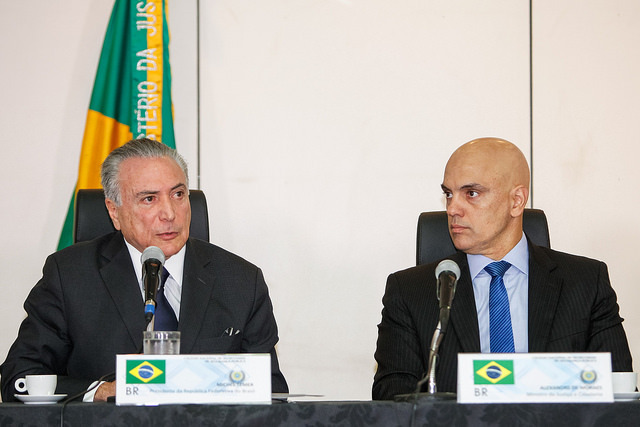 Although Brazil’s new Justice Minister, Alexandre de Moraes, described the group as ‘amateur,’ he explained that “because of the upcoming Olympics and because [Brazil] will receive many foreigners, Brazil has become a target” for terrorist attacks. These arrests are the most recent developments contributing to increasing fears over a possible terrorist attack at the Olympics. Fears were also exacerbated on July 14, when a transcript of a French parliamentary commission was made public. The transcript detailed a hearing in May 2016, in which the head of French military intelligence described an attack planned by a Brazilian Islamic militant against France’s Olympic team. In response to these threats, BBC reports that Brazil’s Justice Ministry plans to increase security during the Olympics and has begun monitoring communications among suspected radical sympathizers. NPR’s Lulu Garcia-Navarro describes Justice Minister Moraes’ security efforts as the “biggest security operation ever at an Olympics,” explaining that Rio will employ 85,000 security personnel, which is twice that of the London Olympics. 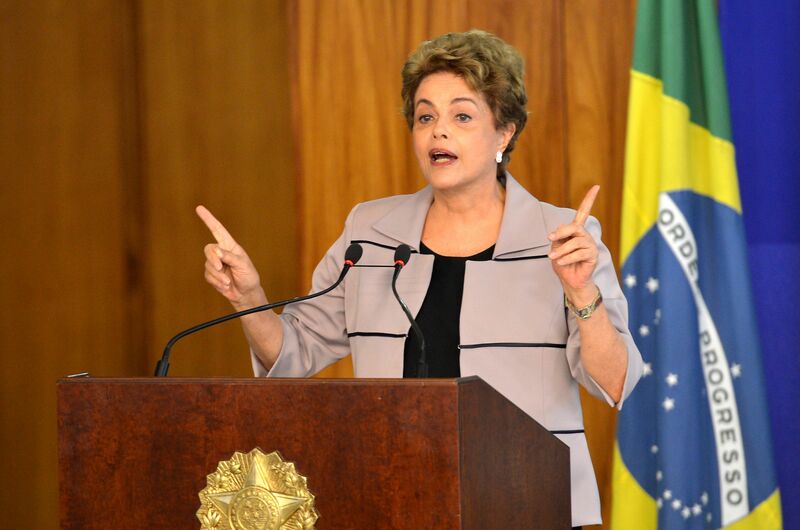 The events of this month follow a wave of fear-inducing events in Brazil. In December 2015, Brazilian authorities found that an ideologically radical Syrian gang had been falsifying Brazilian passports and birth certificates for Syrian refugees. It is within this atmosphere of fear and increasing security that Brazil has recently changed its policies toward Syrian refugees. On June 17, BBC Brasil announced that, due to safety concerns, Justice Minister Moraes had quietly decided to end Brazil’s stance of “braços abertos” (“open arms”) toward Syrian refugees. In the BBC article, João Fellet explains that Brazil had responded to the European refugee crisis under President Dilma Rousseff’s administration, which stated in March that it aimed to negotiate the reception of 100,000 refugees with the European Union (EU) over the next five years. Justice Minister Moraes’ recent decision reversed this goal, suspending negotiations with the EU. It is important to examine this decision, which determines the fate of Syrian refugees in Brazil, in the context of Brazil’s fear of a terrorist attack at the Olympics. The Temer administration’s policy change has enormous implications for Brazil’s Muslim population because of its framing. The administration’s use of ‘security’ oriented rhetoric portrays Syrian refugees as dangerous—something to be feared. As such, the Syrian refugees and other Brazilian Muslims are discursively tied to ideas of terrorism. The security risk of such an attack is real; however, the way the media has targeted Brazil’s Islamic population, the popularization of Islamophobic attitudes, and Temer’s security-oriented refugee policy decisions demonstrate the dangers of Brazilian Islamophobia. Brazil itself has never experienced a terrorist attack by an Islamic extremist. However, this has not spared it from the cancerous growth of Islamophobia. In the past decade, it has experienced an increasingly stronger presence of Islamophobic attitudes, and even public aggression towards Muslim Brazilians. Catherine Osborn of The Islamic Monthly reports that Islamophobia increased drastically after the 9/11 attacks in the United States and has further increased over the past few years. She cites current examples of Brazilian Muslims being pelted with rocks, spat on, and insulted in public, as well as Brazilian mosques being vandalized, as proof of the presence of Islamophobia in Brazil. Fearful attitudes towards Syrian refugees are increasingly prominent in Brazilian media as well. A clear example of Islamophobia can be found in the popular conservative Brazilian news source Veja, in an article titled, “The Myth of the Muslim Radical Minority,” which claims that more than half of all Muslims on earth are radical. The article asserts, “the problem is that terrorists receive moral, financial and religious support from those who are not the terrorists themselves but that can and should be called radicals.” It thus heavily implies that all Muslims are suspect and dangerous to allow in the country. The article, which was written during Rousseff’s “open arms” policy, doesn’t mention Syrian refugees specifically. However, it emphasizes the importance of “certain security measures” that could “contain the advance of Islamic radicals on the West” but are prevented by a “politically correct hysteria.” The author’s distaste for “irresponsibility—to say the least—disguised as ‘tolerance’” perpetuates an Islamophobic attitude that dangerously disregards the right to religion. Islamophobia towards Syrian refugees has contributed to an anti-Syrian refugee movement throughout the Western world. Farid Hafez, Professor of Political Science at the University of Salzburg, highlights how Islamophobia is used in politics, explaining that “not only high-ranking politicians from nationalist and right wing political parties, [but also] the ‘Conservative Christian’ camp and indeed many in power, reproduce Islamophobic discourse strategies” in order to appeal to a type of racist nationalism. He cites examples of politicians using this type of discourse throughout the ‘border countries’ of Europe (those countries that border the Arab world), in response to the Syrian refugee crisis, to implement anti-refugee policies. For example, there is strong evidence linking the Brexit decision of the United Kingdom to anti-refugee rhetoric. Additionally, German Chancellor Angela Merkel, who welcomed over a million Syrian refugees to Germany, has faced incredible pressure to change her stance and, many argue, has lost much personal political capital over her refusal to back down on the issue. Some of the strongest Islamophobic rhetoric can be found in the words of presidential candidate Donald Trump, who has repeatedly stated that he wants to bar all Muslims from entering the United States. Yet using Islamophobia to motivate anti-refugee policy is only half of the picture. Implementing immigration policies that prevent the entry of Muslim refugees on the grounds of ‘security concerns’ in turn perpetuates popular Islamophobic stereotypes. In the case of Brazil, the decision not to accept more Syrian refugees was, according to BBC Brasil, part of the new government’s policy agenda on national security and borders; it seeks to curb the entry of weapons, drugs, and combat violence into Brazil. Thus, regardless of whether or not Temer himself was motivated by Islamophobia, his administration’s policy decision to end the flow of Syrian refugees indicates to Brazil’s citizens that the Syrians present a national security threat to Brazil. The Temer administration’s security-oriented focus has thus served to exacerbate Islamophobia in Brazil—which may in turn prompt more security-oriented and anti-refugee policy. Although it is understandable that Temer wants to defend the country against terrorism, particularly in light of real threats aimed at the Olympics, the vague, fear-mongering refugee policies he has produced so far are certainly not the answer. Original research on Latin America by COHA. Please accept this article as a free contribution from COHA, but if re-posting, please afford authorial and instituitonal attribution. Exclusive rights can be negotiated. For additional news and analysis on Latin America, please go to LatinNews. com and Rights Action. Featured Photo: by Michl Temer. Taken from Flickr. Farid Hafez, “The Refugee Crisis and Islamophobia”, Insight Turkey 17, no. 4 (Fall 2015): 25.